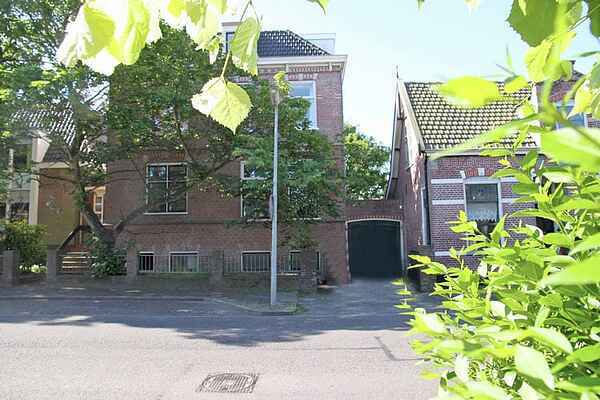 This nice two-person apartment lies in the charming centre of Egmond aan Zee. Find the bustle at a stone's throw away. However, you will not be bothered by it in your studio. It is situated in a quiet street. Driving in to Egmond aan Zee feels like coming home. It is as if the lighthouse is giving you a friendly wink. Residents speak of their beloved 'DERP' (in capitals!) If you ask them why, they will answer in Derpers, the West Frisian dialect spoken in this region of North Holland. The old fishing village once received the 'pale noses'. These were city children who needed to regain their strength. The sun and salty sea air helped in that. You can find out more about the past of this old fishing village in Egmond's museum. You reach your apartment through the central entrance. It has been fully renovated and features pretty much all modern amenities. Egmond aan Zee offers everything for a healthy, sunny holiday. The village behind the dunes has numerous modern shops, good restaurants and plenty of pavement cafes. Wherever you go or sit down, you will receive a warm welcome! Most amenities are within walking or cycling distance. The home owner can provide you with a dune card which gives you access to the dunes. Please ask the home owner about the costs of this card on site.